As I mentioned in a previous post, Robbie and I took an unexpected trip to Ohio this month. We got the news on a Friday morning that his best friend since 1st grade had passed away. We headed out that evening for the 1100+ mile (one-way) drive. 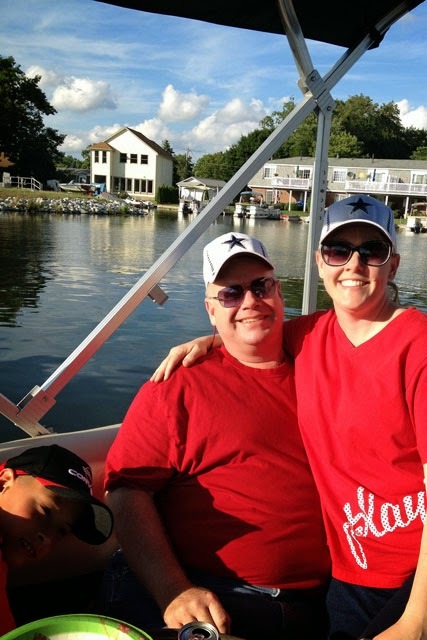 Our primary purpose for the trip was to honor Robbie & Jeff's friendship by attending the funeral services, however we were also able to spend time with Robbie's family and find a few more items on Rinda's Summertime Photography Scavenger Hunt list along the way. 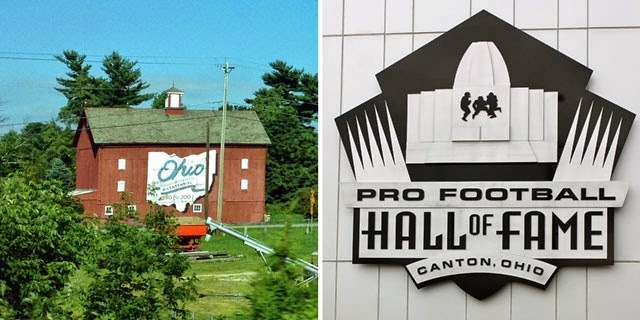 Robbie's hometown is Cuyahoga Falls, Ohio. 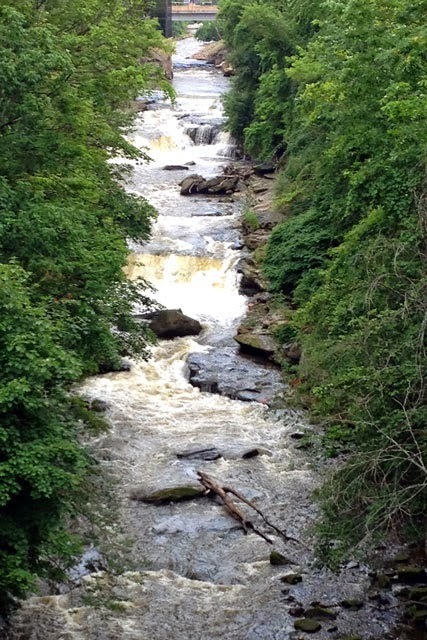 The city is named after the Cuyahoga River and the series of waterfalls that run along the southern boundary of the city, so I knew it would be the perfect place to find #18 - A Waterfall. One of Robbie's favorite desserts is Italian Cream Cake, and he often enjoyed one from Vincent's Bakery for his birthdays growing up. 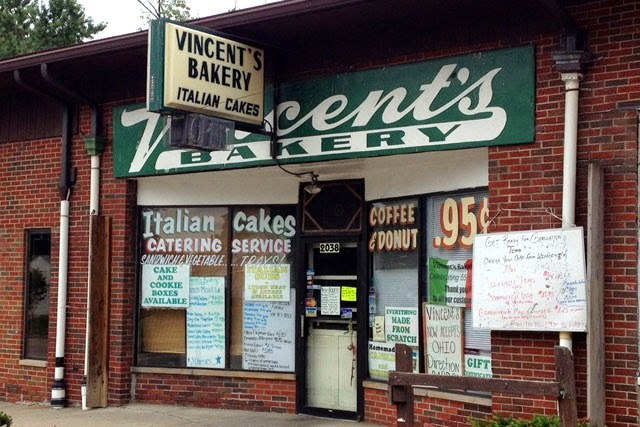 We drove by Vincent's to capture this shot for #9 - A Bakery. 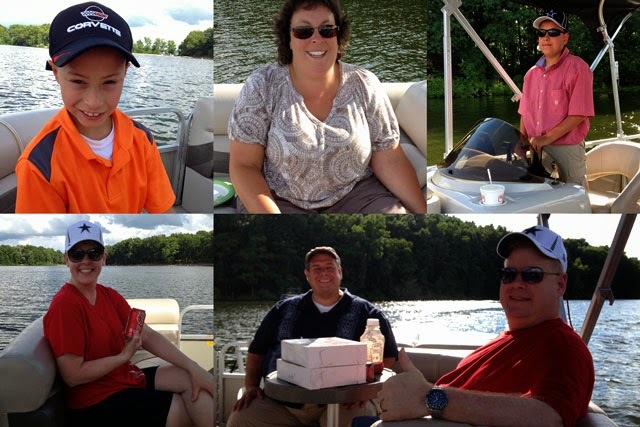 We spent a beautiful evening boating on Portage Lakes with Robbie's brother, sister-in-law and 2 nephews. When Thomas was snapping a photo of me & Robbie, he also captured #10 - A Photo Bomb (see Jacob down in the bottom left corner!). As a special treat, we took our nephews to the Pro Football Hall of Fame. 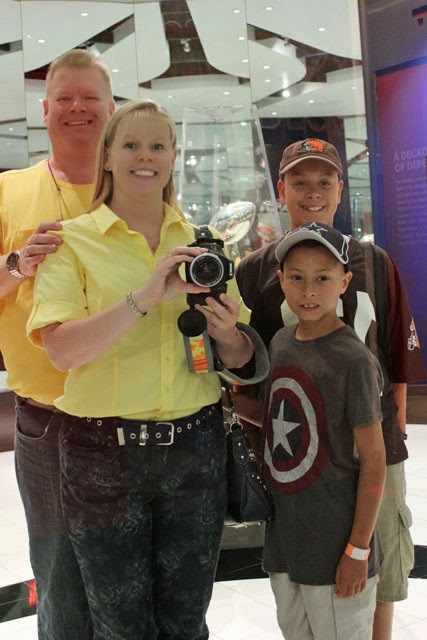 Here's a reflection photo of the four of us with this year's Vince Lombardy Trophy behind us. 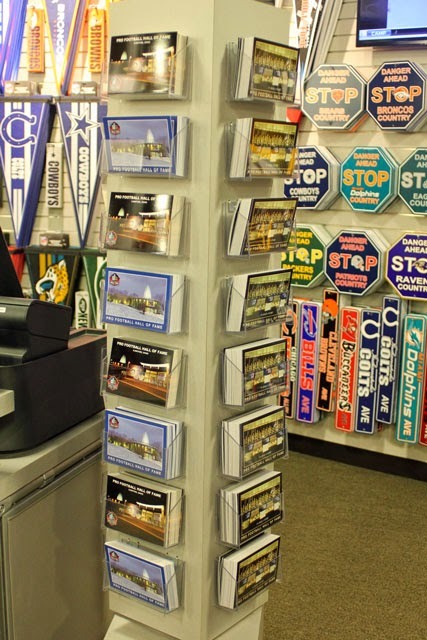 and #5 - A Rack of Post Cards. 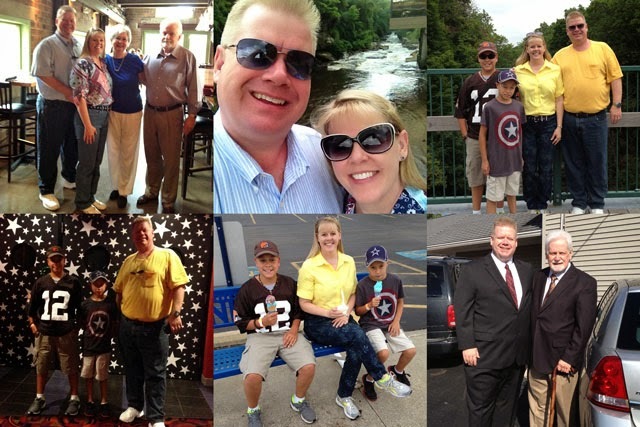 Here are a few more favorite photos from our time in Ohio. 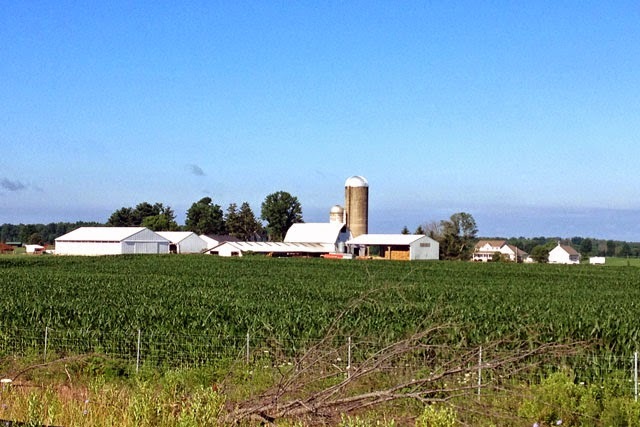 Before we left Ohio on our drive home, I also captured #7 - A Rural Landscape. On the way home, we added 120 miles and a few extra hours so we could dip down into Alabama to visit my nephew Trey and meet his sweet wife Pam. 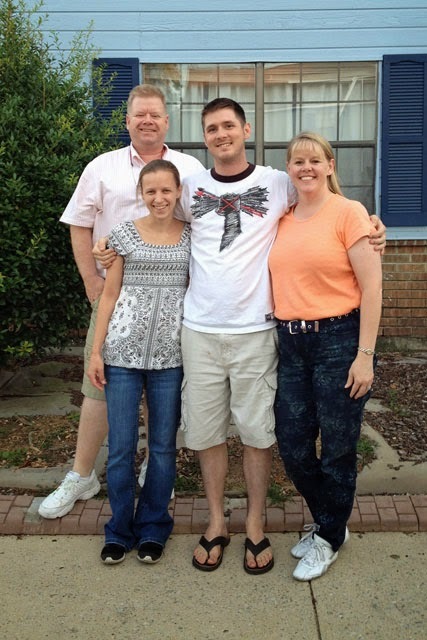 We returned home six days after we left, mourning the loss of a friend yet refreshed by the opportunity to visit with family we don't get to see often enough! some great shots, you always look like you enjoy life to the full! 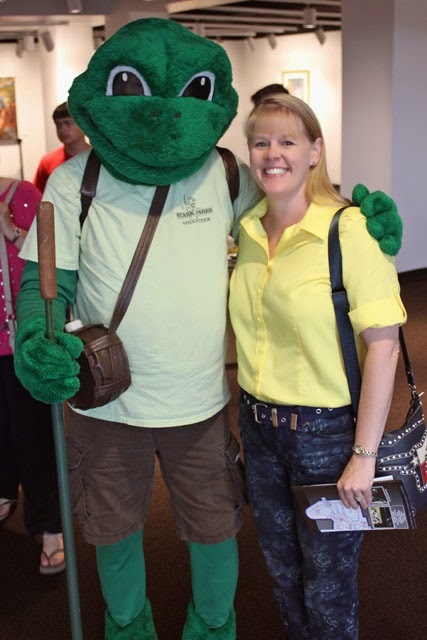 Melissa, you and Robbie sure do get around!! Even though this was a sad trip, you managed to make the most of it. Your scavenger hunt album is going to be so interesting with photos from all over! How nice that you were able to make this trip! I'm sure Robbie's friend's family appreciated your effort. Fabulous finds for the scavenger hunt! 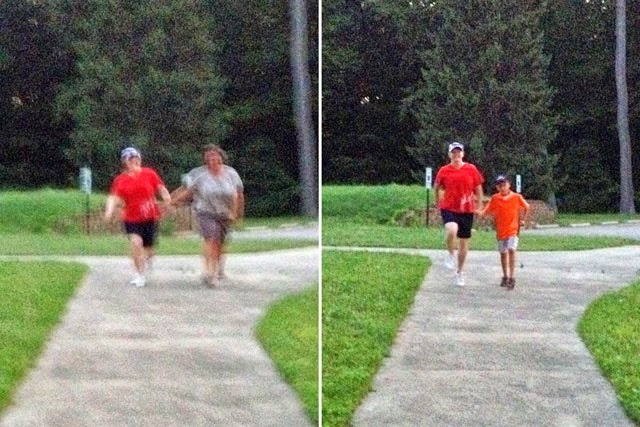 Some great shots, Melissa...it's good that we are able to find joy amid sadness! I'm so glad that you were able to go and to spend time with family that you don't get to see very often. Fun to see all the hunt photos too. I am so sorry to read of the loss of such a long friendship, but it seems it gave you the chance to do some happy reconnecting too. The waterfall is beautifully captured. I add my condolences as well - but trips back home are always to be cherished. How nice that some of your hunt photos have extra meaning. I'm sorry for your loss; glad that you could make the trip to honor Robbie's friend. And what fabulous photo finds! 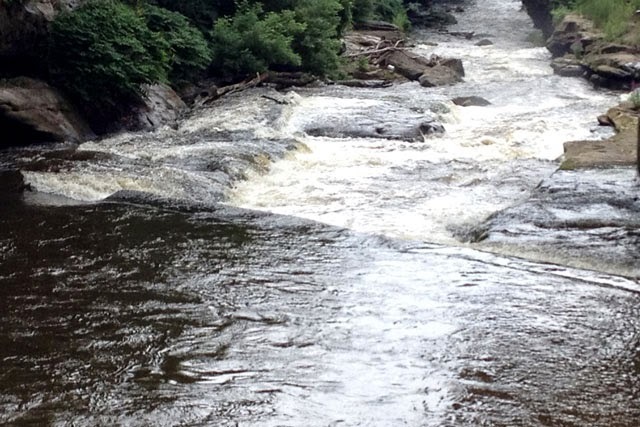 Especially the waterfalls, bakery and photo bomb.